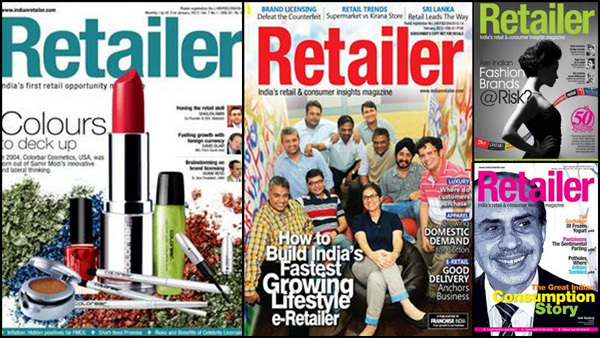 Retailer Magazine brings to you information about B2B content on retail industry, trends, technology, back-end operations, front end operations, human resources, news, marketing strategy, merchandising and licensing.Industry specific stories on Retail Trends, Retail Strategy, Marketing Strategy, Front-end Operations, Back-end Operations, Human Resources, Retail Technology and other verticals of Retail Suppliers and Mall Developments. The magazine features interviews of Retailers, MDs and CEOs of retail and related organizations. A section exploring the latest trend in Brand Licensing and Merchandising highlighting international best practices; News on Store Launch, Investment, Back-end, Shift & Recognition, Merchandising and Licensing.